We specialize in creating a home based environment of luxury & relaxation. while saving you money. Serene Aqua has proudly been serving the area with decades of combined experience. We work closely with our clients to actualize their ideas and ensure that they have a role in the creative process every step of the way. We work with trained horticulturalists to provide the best advice on types of trees to plant, work efficiently with state-of-the-art machinery for all our work, are certified industry leaders in our hardscape installations. 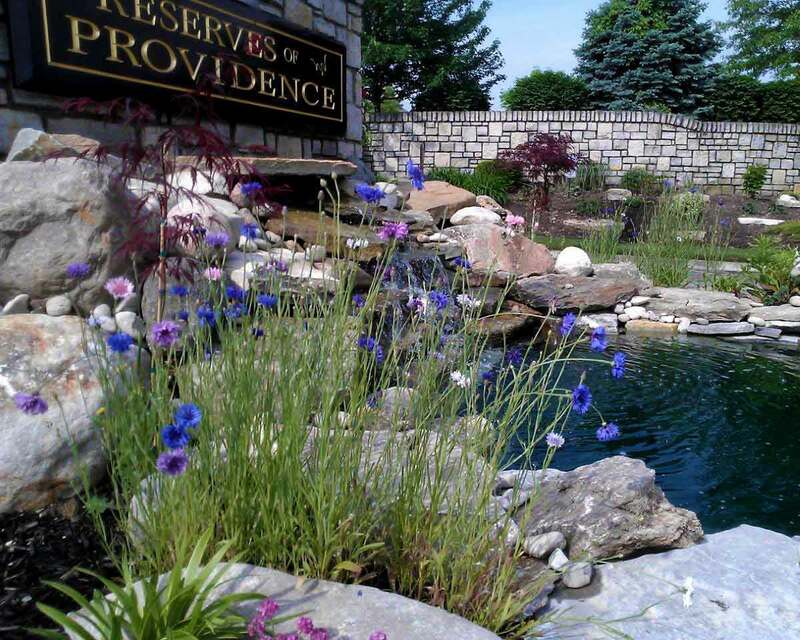 At Serene Aqua our intention is to combine the best of both worlds - landscape/hardscape design and water gardening. The uniting of these two specialties will make your yard and garden into a total ecological system that attracts birds, butterflies, and friends to your garden to rave over your backyard paradise - and yearn for one of their own...imagine yourself sitting around the yard on a balmy summer night with the stars blinking overhead, the soothing sound of water rustling nearby. 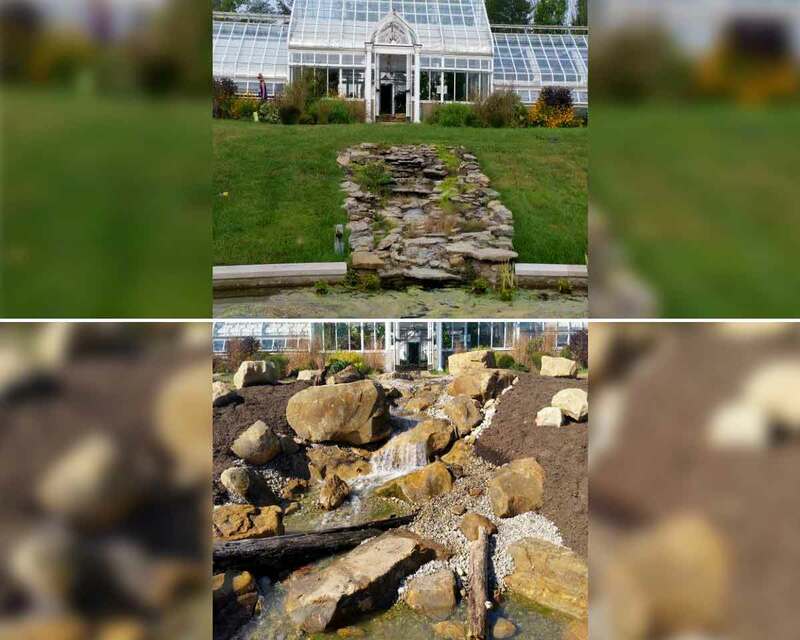 Sound of water can increase the serenity of the moment and one way to bring that sound closer to home is by installing a waterfall and/or pond near your favorite spot in the yard. They can be installed near a deck, close to the house or just about anywhere on your property where space allows. 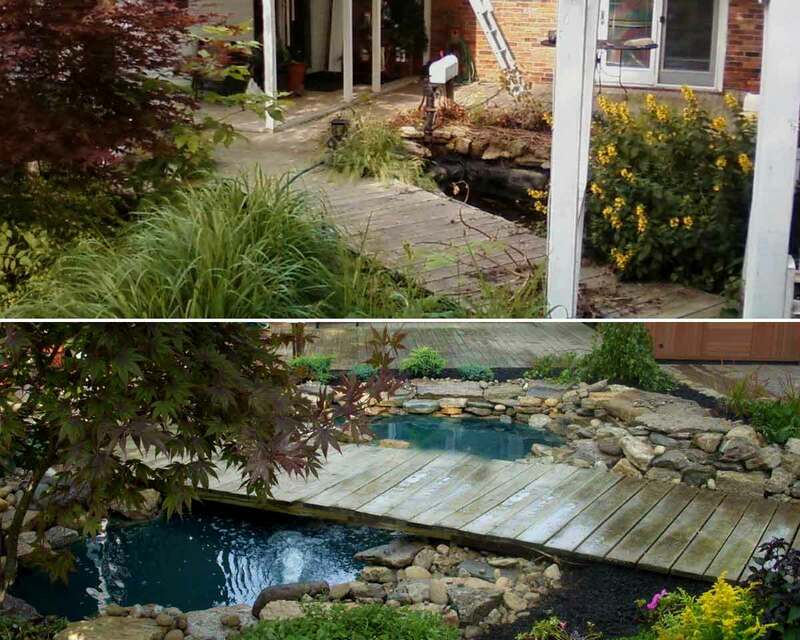 Building a pond and/or a waterfall requires quality components, proper design and technique, and a fair amount of physical labor. You get all this when you have Serene Aqua build a water garden step by step; you will also have the security of an expert in aqua landscaping who’s just a call or an email away. When designing and building a wall or paver patio certain design and build techniques need to be carefully considered. When you are choosing Serene Aqua to design and build your next hardscape project feel assured that you are getting the expertise and quality you deserve for a fine job. Don’t be fooled, There are many ways to cut corners that will compromise the structural integrity of your job to keep prices down. Using a Reading Rock certified installer like Serene Aqua, you will not have to worry. 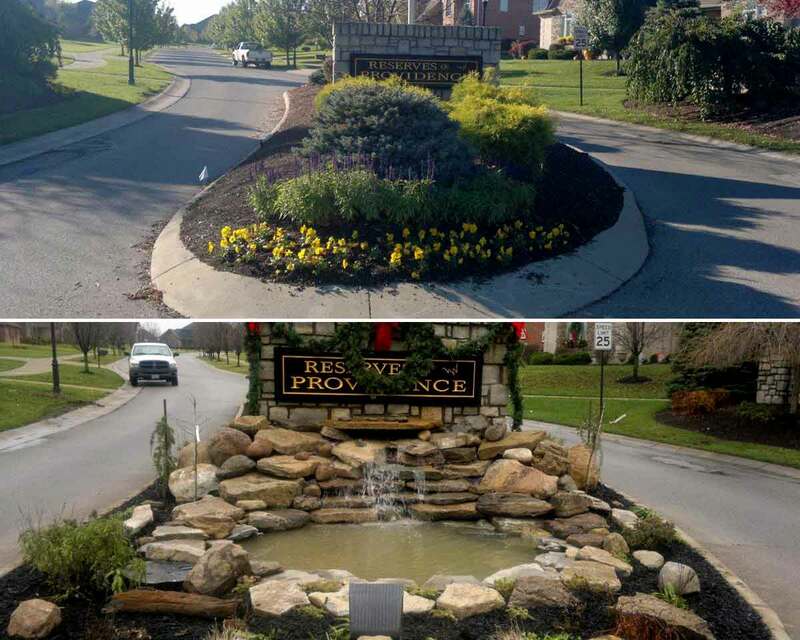 At Serene Aqua, there's no landscaping challenge we can't meet, thanks to our decades of combined experience creating amazing landscaped spaces for families, businesses, everyone! Why do you choose Serene Aqua ? 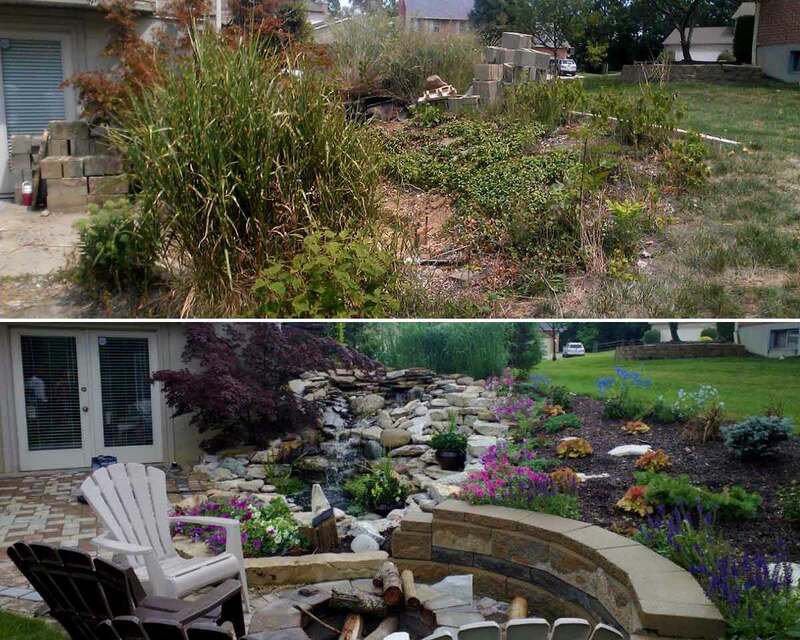 Cincinnati Landscaping says a great deal about a person and can be very straight and narrow or artistically awe inspiring. Serene Aqua seeks to capture the very core of the individuals interests and expressions through our creations. Landscapes include more than just plants; Driveways, walkways, patios, and walls are all key components of the outdoor living space. Creating the perfect outdoor living space takes a good deal of thought and creativity. Serene Aqua is here to help design and install the landscape of your dreams. Yards and gardens with sections that feature water are the dreams of many a home owner. Rob is a true talent in landscaping. His vision inspired me and we ended up with a beautiful patio that our guests compliment constantly. Thank you for an amazing job. Rob did an amazing job creating our 1,200 gallon fountain and my wife and I couldn't be happier. Call 513-919-9979 For A Quote! We love to show off our previous works and after much time toiling over thousands of artistic landscaping photos we bring you our portfolio. We hope you enjoy them!